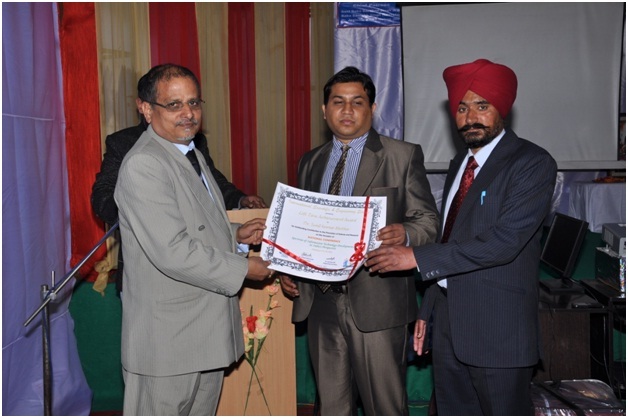 In the foundation year of the society RNJP, 2011, it passed a resolution to institutethe scheme of Medals for Young Scientists with the aim of distinguishingyoung scientists of astonishing promise and creativity; who have made notable researchcontributions in Science and Technology. 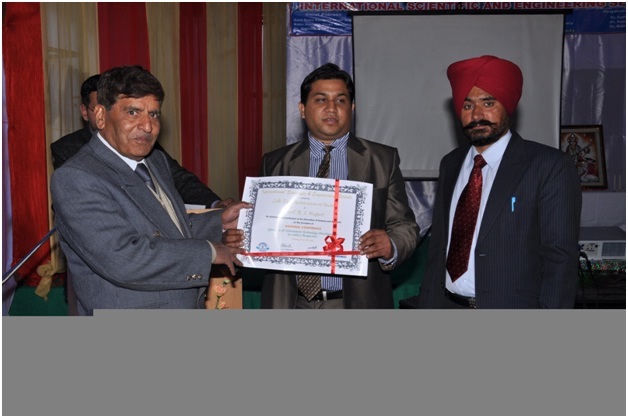 In the year of 2011, however, this award has been solelymanaged and funded by further SERS joined in the year of 2014. 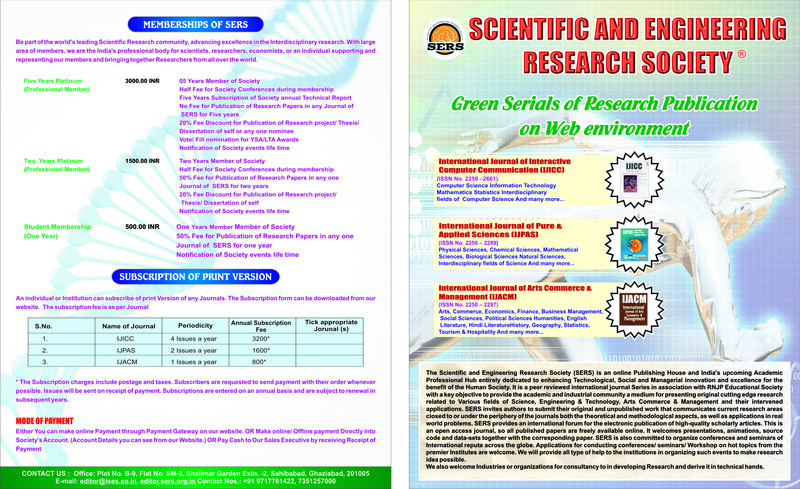 The Young Scientists Award, considered being thehighest recognition of promise, creativity and excellence in a young scientist, is madeannually to those distinguished for these attributes as evidenced by their research workcarried out in India. 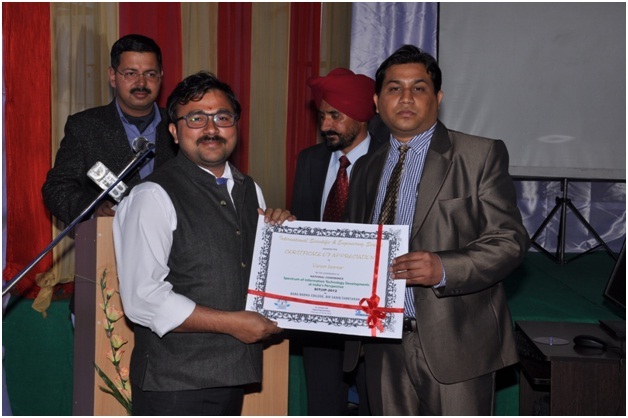 In the Year of 2012, Firstsuch Award has been awarded to Dr.Sumeet Gill, M. D. University, Rohtak, India in the field of Engineering Technology (Computer Science & Engineering) and Dr. Varun Kumar, Vidya College of Engineering, Meerut, India in the field of Applied Sciences (Mathematics) in its First National Conference SIT@IP 2012 rewarding his scientific career and continue to make outstandingcontributions winning further honour both in this country and abroad. The award of a medal to a Young Scientist shall be made in recognition ofnotable contributions to any branch of science or technology, recognized by the Society,on the basis of work carried out in India. Any citizen of India who has not attained the age of 35 years on December 31, of the yearpreceding the year of award, shall be eligible for the award. Any citizen of India who has not attained the age of 35 years on December 31, of the year preceding the year of award, shall be eligible for the award. A notification inviting nominations for the award shall be issued each year after the Society Meeting April/May. A candidate may be proposed by a Fellow of the RNJP/SERS or byearlier recipients of this award. Scientific societies of national standing, university faculties,post-graduate departments or research institutions may also make nominations of eligiblecandidates. A nomination will remain valid for consideration for 3 years or the eligibility age whicheverexpires earlier. However, a fresh nomination (once only) can be made, if the nominee hasnot yet crossed the age bar. Nomination letters should include a letter of nomination, outlining the nominee’s accomplishments, as well as a curriculum vita of the nominee. The Secretary, at the very outset, may examine the nominationsand assign them to various Selection Committees for consideration. In selecting thecandidates for the award, the Society shall consider the recommendationsof the Selection Committees as well as other relevant information. Conveners of the various Selection Committees shall prepare a list of the grades obtained by each candidate and shall recommend not more than seven candidates in order of merit to be called for presentation of their work, in the conferences arranged by the Society in that year, provided that they have been rated ‘B’ by 50% of the members who have sent in their assessment. Assessment from at least five members of Selection Committees must be elicited before making this recommendation. The candidates invited to present their work shall do so in the conference/ before the concerned members of the Selection Committee. 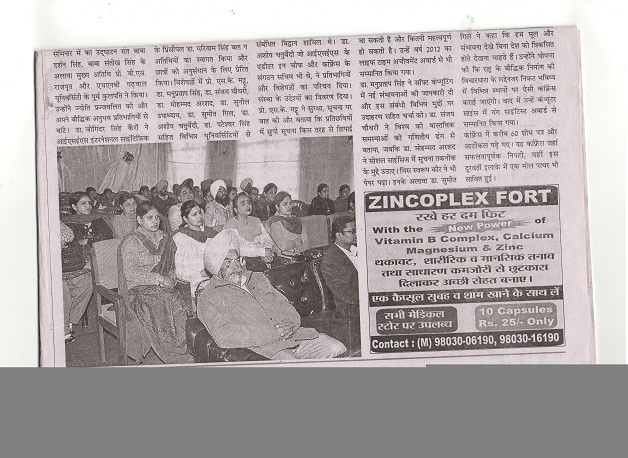 Efforts will also be made to ensure the presence of other experts (RNJP/SERS Fellows) at such presentations. These experts, if they so desire, may give their views to the Convener of the Selection Committee. The Selection Committees shall devote one full day exclusively to this work. Candidates called for presenting their work in the conference/ before the Selection Committees shall be entitled to II AC return rail fare and local conveyance as applicable. Reimbursement will be made on production of tickets. Each Selection Committee shall send its recommendations to the Society in writing, duly signed by all members present. The recommendations shall contain, strictly in order of priority, not more than five names. The main criteria for selection will be the originality of the candidate’s research contributions and his/her understanding as evidenced by publications and performance during the presentation. The recommendations of the Selection Committee shall be handed over immediately after the meeting, by the Convener, in a sealed envelope addressed to the Secretary of the Society. The Society will select candidates for this award at the meeting in the month of April/May, based on the reports received from the Conveners of Selection Committees. The names of the Young Scientists selected for the award by the Society shall be announced at the Ordinary General Meeting in the month of April/May and subsequently communicated to the awardees/Fellowship. 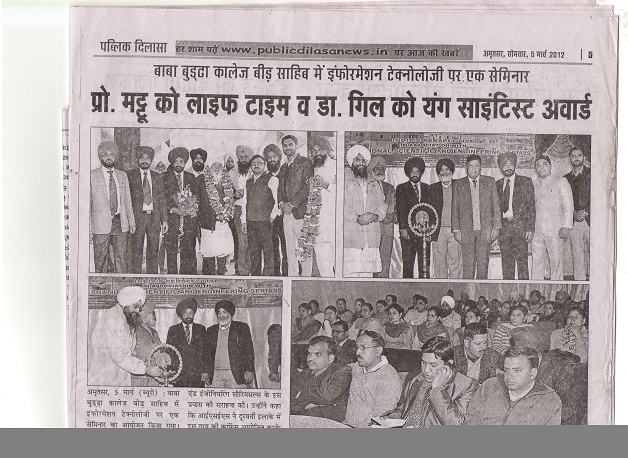 The presentation of Medals will be made by the President/ Secretary, at the time of Annual Conference scheduled by ISES. For receiving the medal, the awardees (along with spouse or one accompanying person) will be paid travel expenses to cover the actual II AC rail fare and local conveyance as applicable. Reimbursement will be made on production of tickets. 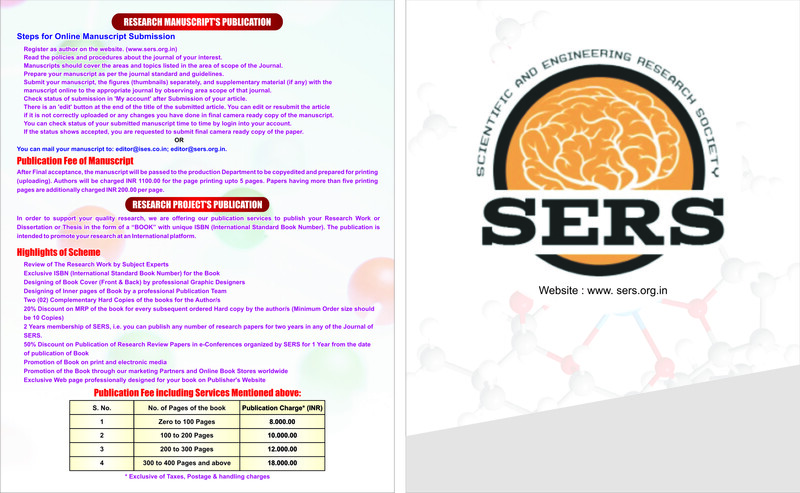 The Society would bring out a publication containing contributions of the Young Scientists for the award at the time of the presentation of the award. Each awardee will be presented a Bronze Medal, a certificate and cash prize. In addition, the recipient may be considered for research support with seed money. 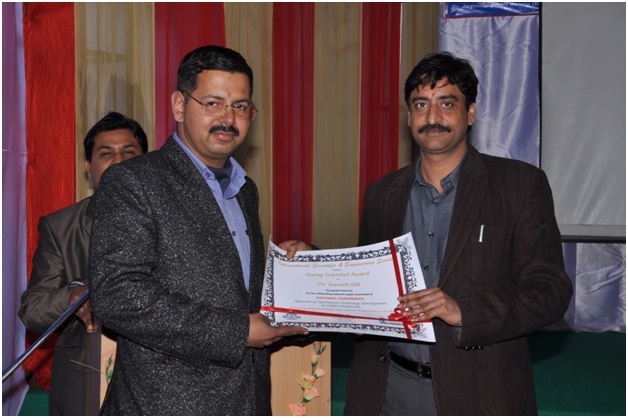 The awardee will be Five Year Professional member (Honorary) of the society and can publish their research papers in any journals published under RNJP/SERS during Five Years of Period.